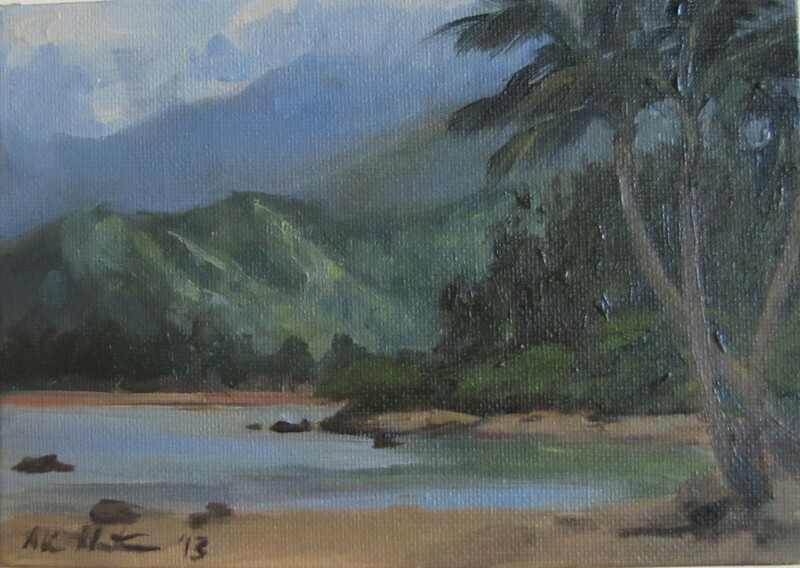 This was painted on the North side of the island near a surf break called Waikoko’s. The approaching clouds were threatening rain. Great to capture the mysterious play of mountain and cloud patterns. Not so great if you are trying to stay dry.